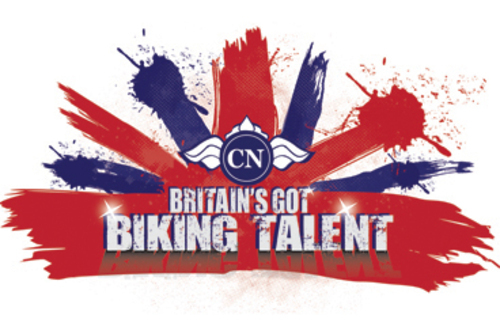 The entries are in, the celebrity judges have conferred – now it’s time for the British biking public to have their say in Britain’s Got Biking Talent with Carole Nash! Public voting is now open for the nation’s biggest and best celebration of biking beauty after the judges and Facebook frequenters determined a shortlist of just 50 magnificent machines. Ten of the fabulous 50 were selected by visitors to Carole Nash’s Insidebikes Facebook page with the remaining 40 chosen after much discussion and debate by some of biking’s biggest shots. Whittling through the hundreds of entries were judges Charley Boorman, Red Dwarf star Danny John-Jules, Jon Quantrell, boss of revered customisers Hawg Haven, and Marc Potter, editor of MotorCycle News. Now it’s up to the public to decide which 12 bikes will make it through to the Grand Final at the NEC Motorcycle Live! in November. From today (Wednesday August 24th) they can cast their votes on the contest’s official website at www.britainsgotbikingtalent.co.uk. Competition has been as fierce as ever as the country’s biggest biking contest enters its fifth and final year. Machines from across the biking spectrum have been entered, ranging from home-customised choppers, through race-ready sports bikes and on to eye-catching café racers. Whilst many enter for the glory that winning brings, a generous prize package is also key to the popularity and hard fought nature of this biking battle. The first placed winner will bag a bike friendly bonanza worth nearly £2,300, including £1,000 in cash, a Protect A Bike shed and an Envy motorcycle lift. Whoever takes silver will win a limited edition five-draw Carl Fogarty rollcab toolbox worth £599 with the whilst the third prize winner will strut off with £250 of brilliant bike wear, including a pair of Midnight Blue Sartso jeans, Gerbing G3 heated gloves and a Moto One Baselayer top. Before the ultimate prize-giving each of the delightful dozen will enjoy a professional studio photo-shoot with top biking photographer Adam Duckworth capturing the essence of their biking beauty. His stunning pictures will then grace Carole Nash’s acclaimed annual calendar which will be distributed to over 100,000 bike fans nationwide.